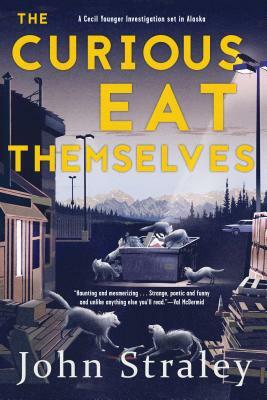 Welcome to Sitka, Alaska, a land of breathtaking vistas and beautiful fauna, where locals are trying their best to be good—and to survive—in what may be the last vestige of the Wild West. Despite the unfortunate end his last client met, Cecil finds himself inundated with requests from all sides: his old friend, Officer Doggy, wants help controlling the grieving Hannah; Cecil’s autistic roommate, Todd needs help finding his Labrador retriever; and the sleazy executives of Global Mining want dirt on a local environmental activist—a request even the bungling PI finds suspicious. But Cecil also feels a responsibility to discover the truth behind Louise’s death. If Louise knew a secret that got her killed, Cecil needs to discover and expose the truth before he, too, is permanently silenced. The former Writer Laureate of Alaska, John Straley is the author of ten novels. He lives in Sitka, Alaska, with his wife, Jan, a prominent whale biologist. John worked for thirty years as a criminal defense investigator. Now retired, he writes in his weather-tight office overlooking Old Sitka Rocks. "Haunting and mesmerising . . . strange, poetic and funny and unlike anything else you'll read this year." "Superior thriller writing, once again by Straley—an excellent plot against Alaska's gigantic and bizarre backdrop." "With the second adventure of Cecil Younger, a PI in southeastern Alaska, Straley reconfirms his claim to the regional territory he staked out in The Woman Who Married a Bear . . . Straley's atmospheric prose takes hold and the action hums along, through unethical dealings and more killings, to the rugged, backwoods Alaska finale." "Chandler, Ross Macdonald, James Crumley . . . Straley proves once again that he is up there with the great ones . . . His prose is as smooth as a well-tuned cello. He has tremendous feeling for the setting: not only the open waters and frosted countryside outside of Sitka and Juneau, but also the somewhat seedy streets of these cities." "Now and then a writer dares to flout the rules and in so doing, carves out a niche that belongs to him alone. John Straley's novels are like no others." "Like James Lee Burke, Straley transcends the genre . . . Marvelous." "Straley's beautifully understated narrative, vivid sense of place and unapologetic, unadorned characters make this a riveting, unpredictable ride." "Outstanding . . . satisfies on all levels." "Straley hits all the right notes"